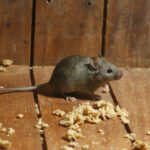 Unlike bugs and rodents, our pest control insulation is completely safe for your family home. In addition to being safe for your family, our insulation is also safe for the environment. It’s treated with boric acid and other “green” formulas. This insulation kills most insects on contact and deters other types of pests. If you have termites, cockroaches, ants, silverfish, or other bugs, it’s the ideal solution. In addition to its pest control properties, our insulation is also fire-retardant. 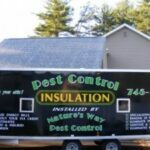 Our pest control attic insulation is budget-friendly, too. 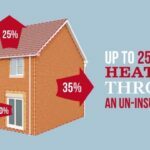 It’s thermally superior, which means it keeps your home temperature in while keeping outdoor temperatures out. This keeps your energy costs down, which helps your budget. You measure insulation by its R-value, which is the thermal resistance value. Our insulation has a much higher R-value than typical fiberglass insulation. EnergyStar.gov recommends an R-value of at least 49 for the Northeast U.S. You can calculate your current insulation’s R-value by multiplying its thickness by 3. For example, if it’s 11 inches thick, the R-value is 33. In that case, you need a thicker insulation. 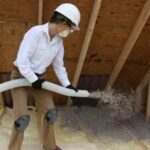 For more information about our attic insulation in Upstate NY and Vermont, contact us. At Nature’s Way Pest Control, we’re always here to help.